DISUDESE: The beginning of the mass arrests in the UK? This is a repost of the post that I found on American Kabuki. It seems that the conspirators that have manipulated the LIBOR will be arrested soon. I think that will trigger the beginning of the mass arrests in the UK. (Reuters) - U.S. prosecutors and European regulators are close to arresting individual traders and charging them with colluding to manipulate global benchmark interest rates, according to people familiar with a sweeping investigation into the rate-rigging scandal. Federal prosecutors in Washington, D.C., have recently contacted lawyers representing some of the individuals under suspicion to notify them that criminal charges and arrests could be imminent, said two of those sources who asked not to be identified because the investigation is ongoing. Defense lawyers, some of whom represent individuals under suspicion, said prosecutors have indicated they plan to begin making arrests and filing criminal charges in the next few weeks. In long-running financial investigations it is not uncommon for prosecutors to contact defense lawyers for individuals before filing charges to offer them a chance to cooperate or take a plea, these lawyer said. The prospect of charges and arrests of individuals means that prosecutors are getting a fuller picture of how traders at major banks allegedly sought to influence the London Interbank Offered Rate, or Libor, and other global rates that underpin hundreds of trillions of dollars in assets. The criminal charges would come alongside efforts by regulators to punish major banks with fines, and could show that the alleged activity was not rampant in the banks. "The individual criminal charges have no impact on the regulatory moves against the banks," said a European source familiar with the matter. "But banks are hoping that at least regulators will see that the scandal was mainly due to individual misbehavior of a gang of traders." In Europe, financial regulators are focusing on a ring of traders from several European banks who allegedly sought to rig benchmark interest rates such as Libor, said the European source familiar with the investigation in Europe. The source, who did not want to be identified because the investigation is ongoing, said regulators are checking through emails among a group of traders and believe they are now close to piecing together a picture of how they allegedly conspired to make money by manipulating the rates. The rates are set daily based on an average of estimates supplied by a panel of banks. "More than a handful of traders at different banks are involved," said the source familiar with the investigation by European regulators. There are also probes in Europe concerning Euribor, the Euro Interbank Offered Rate. It is not clear what individuals and banks federal prosecutors are most focused on. A top U.S. Department of Justice lawyer overseeing the investigation did not respond to a request for a comment. Reuters previously reported that more than a dozen current and former employees of several large banks are under investigation, including Barclays Plc, UBS and Citigroup, and have hired defense lawyers over the past year as a federal grand jury in Washington, D.C., continues to gather evidence. The activity in the Libor investigation, which has been going on for three years, has quickened since Barclays agreed last month to pay $453 million in fines and penalties to settle allegations with regulators and prosecutors that some of its employees tried to manipulate key interest rates from 2005 through 2009. 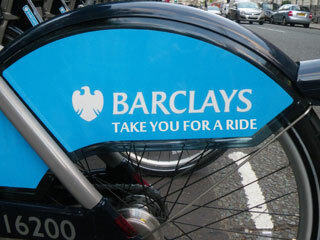 Barclays, which signed a non-prosecution agreement with U.S. prosecutors, is the first major bank to reach a settlement in the investigation, which also is looking at the activities of employees at HSBC, Deutsche Bank and other major banks. The Barclays settlement sparked outrage and a series of public hearings in Britain, after which Barclays Chief Executive Bob Diamond announced his resignation from the big British bank. The revelations have raised questions about the integrity of Libor, which is used as benchmark in setting prices for loans, mortgages and derivative contracts. Adding to concerns are documents released by the New York Federal Reserve Bank this month that show bank regulators in the United States and England had some knowledge that bankers were submitting misleading Libor bids during the 2008 financial crisis to make their financial institutions appear stronger than they really were. Among other details, the Fed documents included the transcript of an April 2008 phone call between a Barclays trader in New York and Fed official Fabiola Ravazzolo, in which the unidentified trader said: "So, we know that we're not posting um, an honest LIBOR." The source familiar with the regulatory investigation in Europe said two traders who have been suspended from Deutsche Bank were among those being investigated. A Deutsche Bank spokesman declined to comment. The Financial Times reported on Wednesday that regulators we're looking at suspected communication among four traders who had worked at Barclays, Credit Agricole, HSBC and Deutsche Bank. Credit Agricole said it had not been accused of any wrongdoing related to the attempted manipulation of Libor by Barclays, but had responded to requests for information for various authorities related to the matter. In the United States, the regulatory investigation is being led by the Commodity Futures Trading Commission, which has made the Libor probe one of its top priorities.